The Canon Ixus is the perfect gift to show his love for a beautiful woman. First class technology expresses deep emotions. 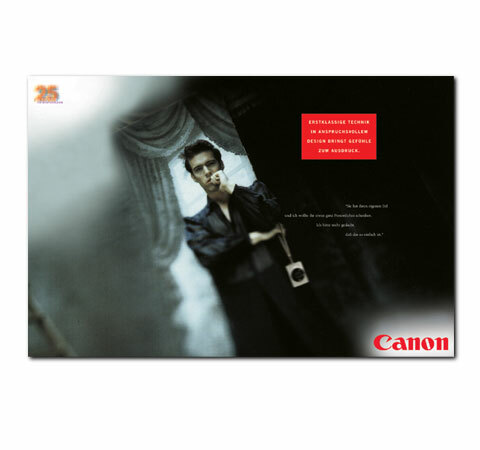 Layout for ad campaign to celebrate 25 years Canon.